This is another favorite piece of mine in my collection. 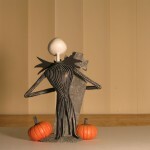 I’m not sure why, but I really just like the look of this mini Jack Skellington bust. 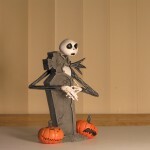 It displays Jack Skellington as he is trying to hide behind a tombstone. He has a bit of a scared look in his face. There are two Jack-o-lanterns near the tombstone: one with a grinning face and one with an angry face. I think the statue is made out of a resin material. However, his bat tie and arms feel like they are made of plastic though. The statue stands a little less than 7 inches tall. 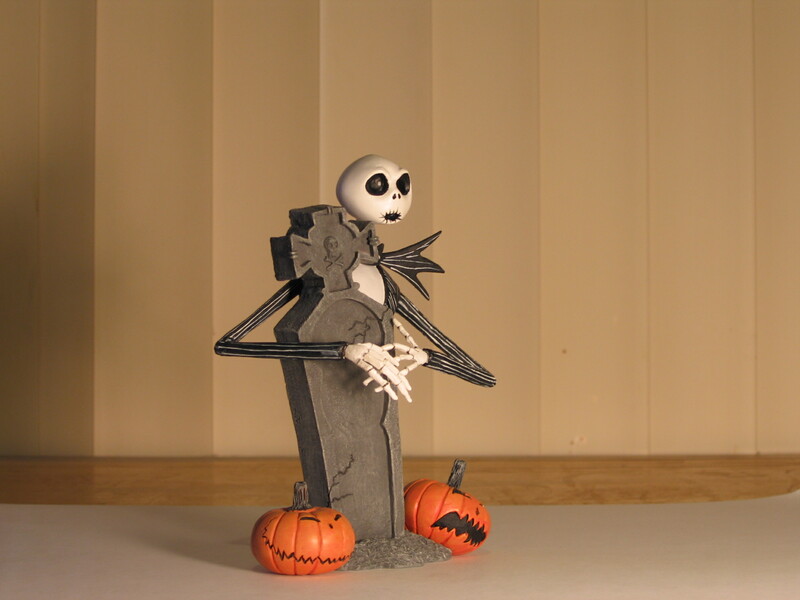 When you look at the statue from the back, you can see that Jack Skellington is missing his legs. His jacket just drapes down the tombstone. It almost looks as if Jack is coming out from within the tombstone. I’m not sure if this was a mistake or if this was a design choice from the designer of the piece. I bought this piece in the summer of 2007 while I was at Shoreline Village in Long Beach, California. I went into this one shop that sold a lot of pirate-related merchandise. 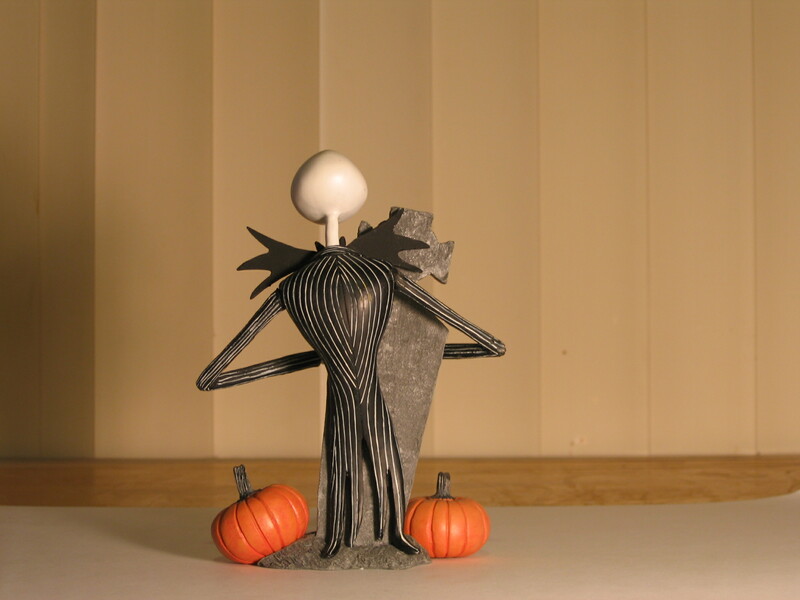 As I was looking at their display case full of stuff, I spotted this Jack Skellington piece (plus two other pieces). I walked out of that store a very happy customer. The best part of this piece is that there are only a limited number of them. I have #675 out of 2500 (and this is supposedly worldwide). Our young daughter broke her Aunt’s statue just like this. We are looking for a replacement, and browsing the net, is this about 8″ tall? Curious so we can replace it..
It’s probably more like 6″ tall (but that’s me estimating without a ruler). It definitely not taller than 8″ but I’m pretty sure looks a little shorter than that.